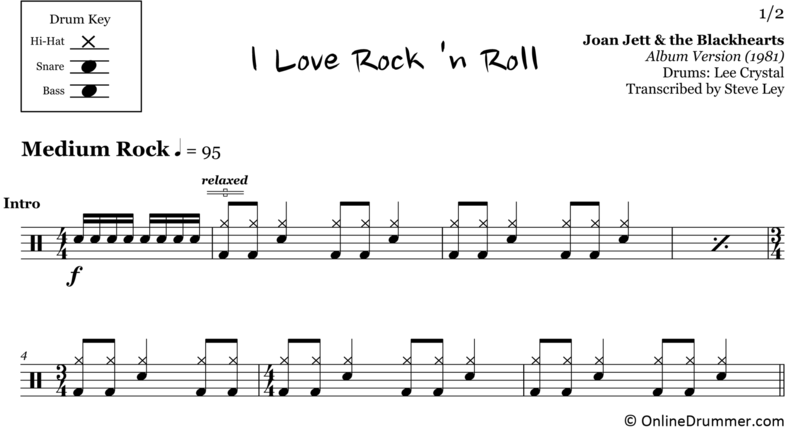 The full drum sheet music for “I Love Rock ‘n Roll” by Joan Jett & The Blackhearts, album version (1981). 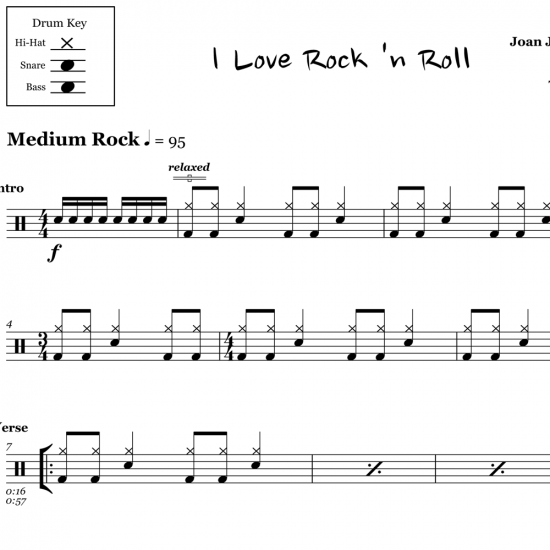 I love “Rock ‘n Roll” is the title track from Joan Jett’s second studio album and her most successful song selling over 10 million copies. This song transcends generations, standing the test of time. Lee Crystal’s drum track is straightforward but an instantly recognizable classic at the same time.